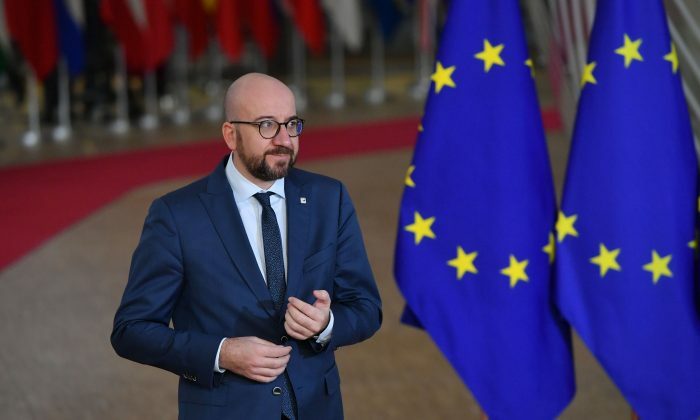 The European Union’s foreign ministry recently warned EU diplomats and military officers about the threat of “about 250 Chinese and 200 Russian spies” operating in Brussels, the EU capital. They go undetected while monitoring the areas near important institutions, such as a popular steakhouse and a cafe close to the European Commission’s main building. German newspaper Die Welt reported on Feb. 9 that the warning was sent by European External Action Service (EEAS), an EU diplomatic organization tasked with carrying out the Union’s foreign and security policies. The report said that Russian spies have been active in Brussels for decades. But a lesser-known presence are Chinese intelligence agents active in Brussels, who hide their identities by posing as employees of their embassies, or commercial representatives of companies from their own countries. The report gave an unspecified example of when a Chinese or Russian diplomat would attend an important event, the people accompanying the diplomat are often undercover agents. Spies who also work at various types of small and big businesses in Brussels, especially those located near EU buildings. By directly and indirectly contacting EU officials—sometimes by pretending to do business with them, as well as monitoring the premises, these spies collect the information that their home countries are interested in. Kenneth Lasoen, a security expert from Belgian Ghent University, has previously said that the headquarters of the North Atlantic Treaty Organization, EU institutions, and many international agencies are based in Brussels, and all these entities are key targets of spies and hackers from other countries, including China and Russia. “Highly valuable economic and political information is exchanged here. That makes Brussels a nest of espionage,” Belgian media the Bulletin quoted Lasoen as saying back in Nov. 3, 2017. To obtain valuable economic, military, and political information, countries have also resorted to cyber attacks. One of the latest examples is the revelation that since 2016, an arm of China’s military, known as the People’s Liberation Army (PLA), that specializes in cyberattacks breached an European diplomatic communications network used to share details on policy-making efforts. This network, named Correspondence Européenne, provides a platform for officials in 28 EU countries, the European Council, the EEAS, and EU Commission to cooperate on foreign policy matters. “[I’m] not surprised about the fact that there is such an attack. It is just a question of time when [such a data breach] would happen, or become public,” said Udo Helmbrecht to Politico. He is the executive director of the EU’s cybersecurity agency, European Union Agency for Network and Information Security.